I have been a pre law advisor for the Cal Poly campus, direct interest in the office of the district attorney, I have served as chair of the tenured committee and am involved in promoting the MPP program. I am the department politician in the community. I was re elected for the tenth time to public office and most recently in November 2006 to the city council. 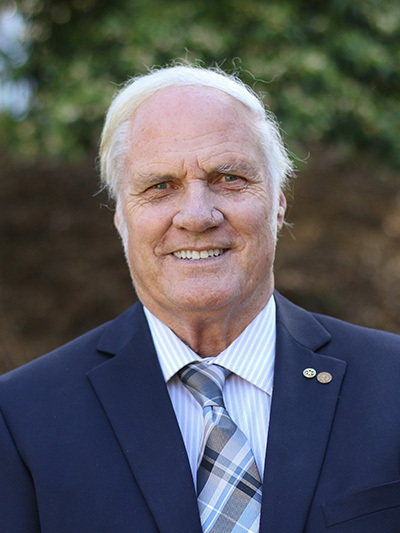 I have served four terms as mayor for the City of San Luis Obispo and four terms as a city council member. This most recent election is to the fifth term. I am a "learn by doing" example as in teaching I give a practical application to the classes especially in urban government class, Constitutional law and American government classes. In addition to the city elected office, I serve on the Airport Land Use Commission (I am an aircraft owner and pilot), the Local Agency Formation Commission (county- city land use entity) and the League of Cities revenue and taxation committee. The state government is constantly wanting to city local government money to balance the State budget. I also work with the Senior Executive Policy Center on emergency management matters in Washington D.C. especially as it relates to financial cost recovery for disasters, land use and litigation issues associated with how government and insurance companies respond to emergencies and major disasters. As of this writing I am investigating to Sacramento levee system for it major problems and deferred maintenance issues.